Photo Gallery #56: Click edit pencil to get the selected gallery name. 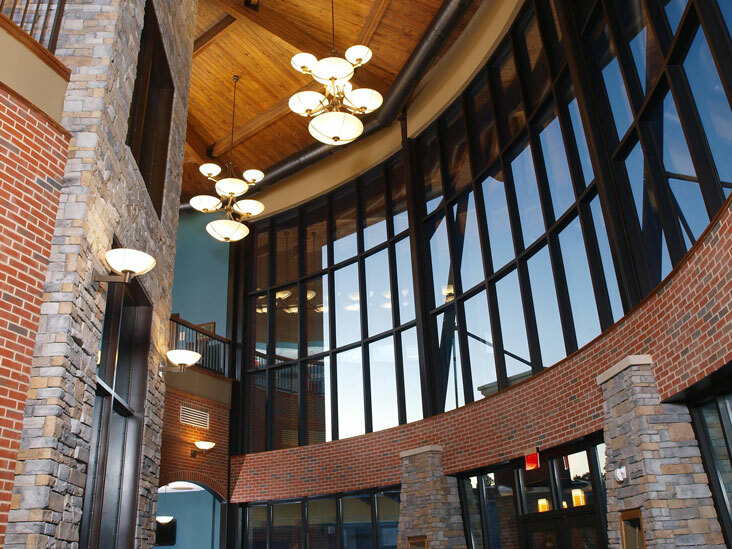 Project: Smoky Mountain Center for the Performing Arts, Franklin, N.C.
Fixture: Custom seven-bowl chandeliers based on the standard “Site” family fixtures throughout the building are a signature element of the design of this new theatre. The two-story windows frame the fixtures from the entrance providing a warm welcome. Compact fluorescent lamps provide up and downlight.